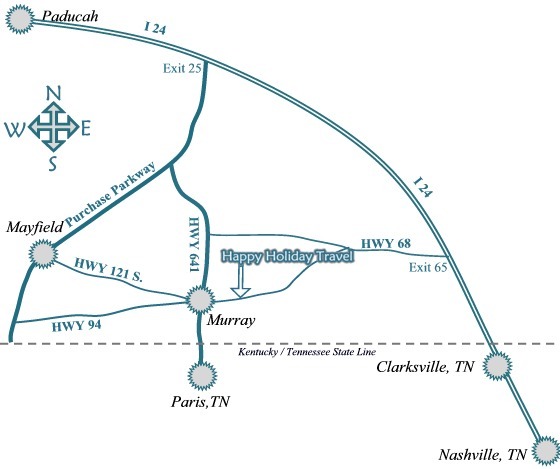 Location – Happy Holiday Travel, Inc. Located on the corner of 94 East and Van Cleave. We are only 1 1/2 Miles outside of Murray. Please call for directions from your location. McClure’s Happy Holiday Travel Inc. Is an authorized dealer for Bennington, Yamaha, Mercury,Sedona and Honda. Some graphics are courtesy of the perspective manufacturer.